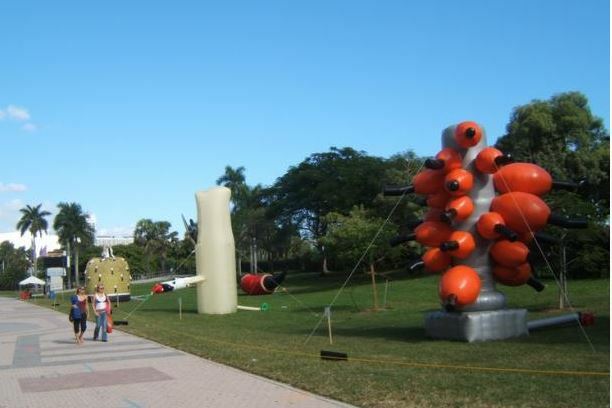 As an example of an Inflatable Festival, “Giants in the City” has been creating inflatable displays from Miami. Perhaps curator Alejandro Mendoza can be persuaded to setup shop in Pompano Beach. The designs require a minimum of 2 months to be manufacture. They are made of Ripstop nylon fabrics and 70 denier nylon taffeta (Tear resistant, windproof and water-repellent) that when deflated are easily packed. They are inflated and supported upright by a continuous supply of air through the interior portion of each piece. A small electric air generator will be purchased to supply the air. 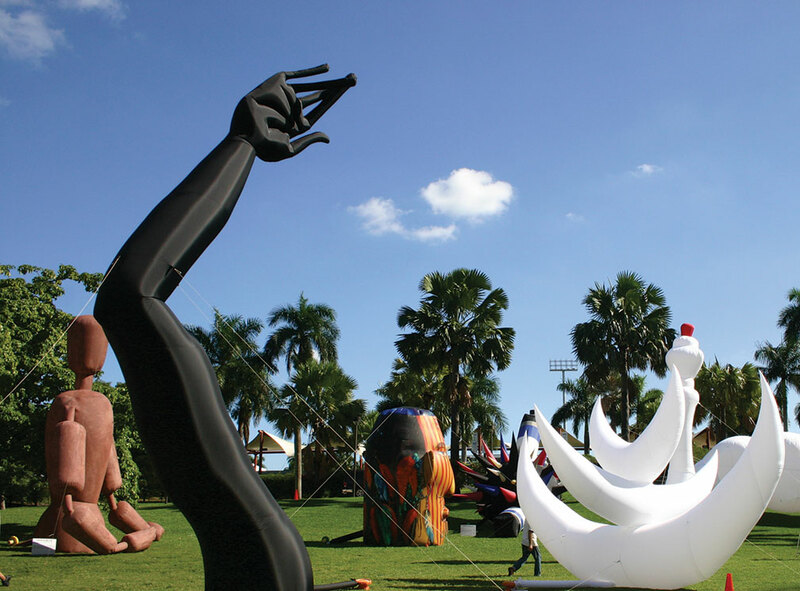 The sculptures are extremely light in weight yet are capable of reaching 45″ feet in height or more. They inflate and deflate within minutes and are easily transported. The pieces include tension cables to anchor them and guard them from moving in the wind.